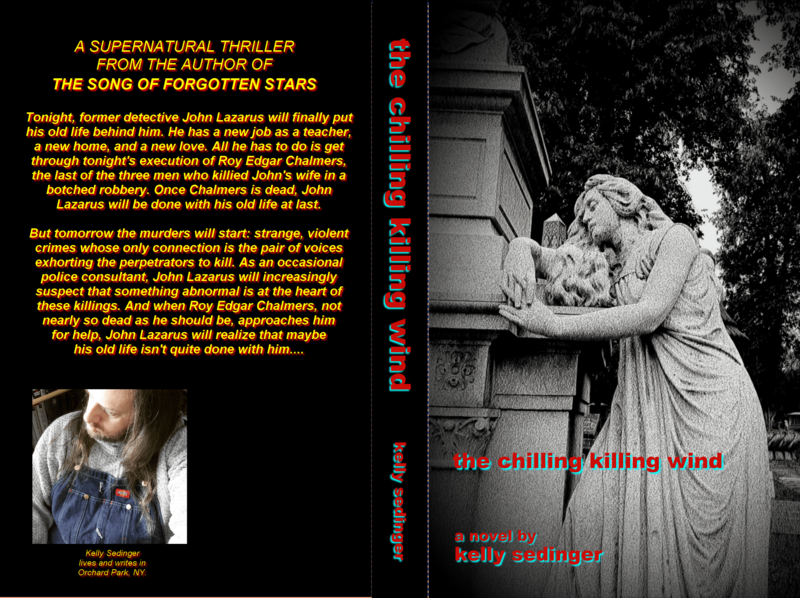 THE CHILLING KILLING WIND: COVER REVEAL!!!! Well, I could do a bunch of preamble stuff, but why bother? Here it is! Tonight, former detective John Lazarus will finally put his old life behind him. He has a new job as a teacher, a new home, and a new love. All he has to do is get through tonight’s execution of Roy Edgar Chalmers, the last of the three men who killed John’s wife in a botched robbery. Once Chalmers is dead, John Lazarus will be done with his old life at last. But tomorrow the murders will start: strange, violent crimes whose only connection is the pair of voices exhorting the perpetrators to kill. As an occasional police consultant, John Lazarus will increasingly suspect that something abnormal is at the heart of these killings. And when Roy Edgar Chalmers, not nearly so dead as he should be, approaches him for help, John Lazarus will realize that maybe his old life isn’t quite done with him…. Release is coming soon, folks! Author ksedingerPosted on December 3, 2018 December 3, 2018 Categories The John Lazarus novels, WritingTags chilling killing wind, horror, john lazarus, supernatural thriller2 Comments on THE CHILLING KILLING WIND: COVER REVEAL!!! !